With Thanksgiving now over, my Thanksgiving mode has shifted from “thankful” to the Christmas mode of “giving.” It is a sensible shift; the best shift. Unfortunately, my other mode of “I want” seems to be sharing my present mode-space and it is, I admit, alive and well. I have always been an admirer of “books as an art form” (such as lovely little chapbooks) and an admirer of Jane Austen. Consider my excitement in the mingling of both Austen and book-art! Dear Santa, I’ve made my list. You may check it twice…for typos. 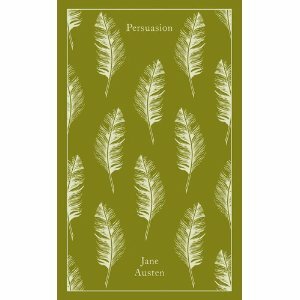 Please bring me all six Jane Austen novels in the new Penguin Classics, simply gorgeous, clothbound editions format! Oh Santa, I can’t wait to hold them all in my hands: Persuasion, Mansfield Park, Pride and Prejudice…Oh, big man, you know! 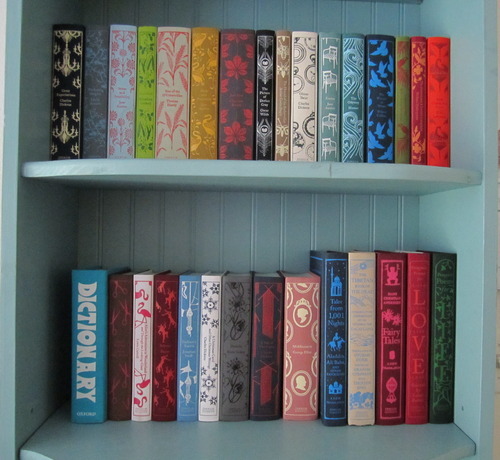 It is officially and now universally acknowledged (via the web) that I must be possession of these handsome books. Thank you and, as ever, I will leave a plate a carrots under the tree for your reindeer.